The Norwich Undergraduate Surgical Society in collaboration with Norwich Pre-Hospital Care Society are very proud to run our biennial Trauma and Surgery Conference this coming January 2017. ​In the past, the conference has boasted several exciting workshops such as practical experiences in tracheostomies and chest drain insertion; as well as talks from inspirational speakers of great renown. We will also be running a mock road traffic accident simulation for you to get hands on with. And we will be welcoming the Army to one of our workshops! Once again, our conference promises to be the trauma and surgical event of the year! ​For more information please explore our tabs on speakers and workshops. ​Make sure to keep up to date with our updates blog. 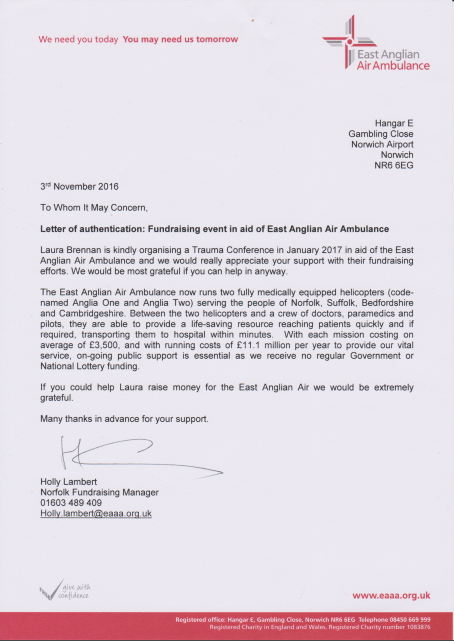 We're very proud to give our proceeds equally to the East Anglia Air Ambulance, ​​and the ​​Norfolk Accident Rescue Service (NARS) . 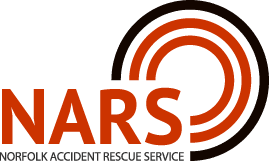 ​​With their tireless work saving lives across all of East Anglia, playing a vital part in pre-hospital and emergency care, its only fitting that a conference of this nature does what it can to give back to such cornerstones in the emergency service.